3D has been the “next big thing” in the TV industry in the last years, so an interesting question comes to our minds – has the time come to see it in phones? 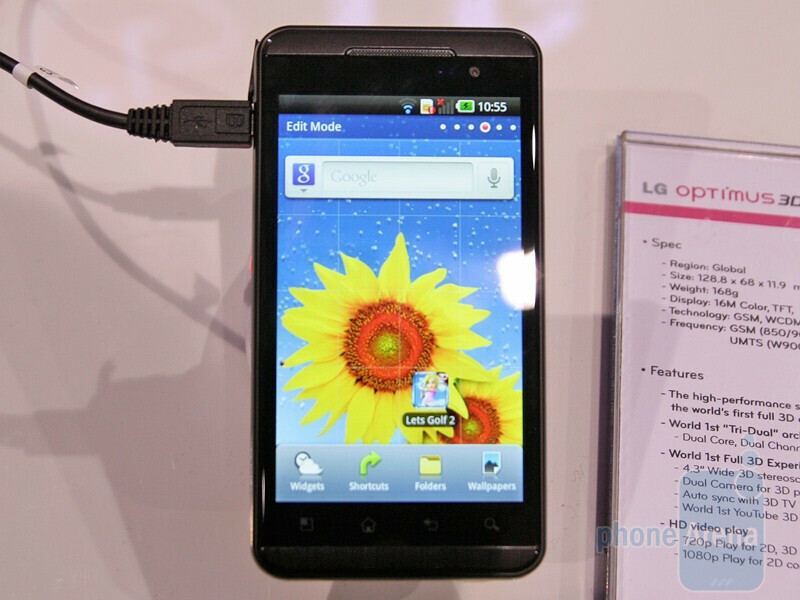 LG definitely thinks so, and during MWC 2011, it introduced its first cell phone to promote this feature - the LG Optimus 3D. 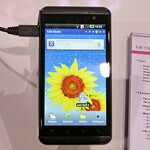 The LG Optimus 3D is one of the top Android smartphones in terms of processor specs - LG claims that its dual core, dual channel and dual memory platform is way more powerful than other “simply” dual core phones. We ran Quadrant benchmark on one of the prototypes here at MWC and it scored some 2800 points. This is not only higher than the Samsung Galaxy S II’s or Optimus 2X’s scores, but it is actually the highest score we’ve seen to date. The TI OMAP4 chipset inside has some tricks up its sleeve, like a PowerVR SGX540 graphics, which are clocked at 300MHz, 50% higher than what we have in the Samsung Galaxy S, thus delivering 50% more performance, and this is clearly visible in the tests - it is faster than even the GeForce GPU in Tegra 2. The Optimus 3D also has 512MB RAM, and it uses dual-channel LPDDR2 memory controller, which speeds up things quite a bit as well. 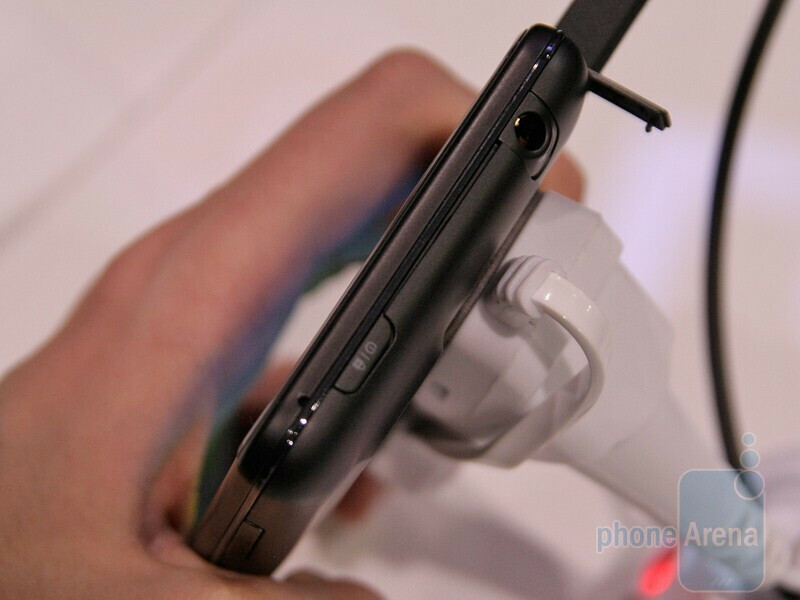 To top it all off, TI makes some of the most power-efficient mobile chipsets, and LG put a standard 1500mAh battery in, so it is obviously kosher with the battery life on the Optimus 3D. We shouldn’t count too much on the benchmarks, however, as sometimes they may not reflect the responsiveness of a phone. Still, this device sure has excessive power, which we guess is needed for its 3D capabilities. Speaking of 3D, let’s get back to the screen. It is auto-stereoscopic, which means that you can watch 3D content without the need of glasses. You just have to play a video and it pops out. The first time we saw it though, we were not really sure how “real” this 3D effect is. It reminds of these old stereo pics, but still, it is definitely better, and we can say that it is indeed true 3D. A few minutes of watching and you will notice these cool 3D effects with some objects “getting out of the screen” and staying in front of the others. It’s cool, but we will keep our final judgment on how great this is, until we get to test a unit for a longer time. One of the drawbacks of this type of parallax 3D technology however, is that when 3D is on, the resolution of the screen drops significantly, resulting in a not very impressive picture. Otherwise, the display is 4.3” LCD with 480x800 pixels resolution, which are some pretty decent specs, but once again, when viewed in 3D mode and in landscape, the effective resolution seems to be more like 400x480 pixels (half the actual width). Still, we remind you this is a prototype and when we test the final unit, our opinion may change (a bit). LG is using its own IPS LCD tech for the main display, and the parallax barrier overlay is LG's creation too - it can be turned on or off (the UI is plain 2D, for example), or its intensity changed with a virtual slider, depending on the app or menu you are in. 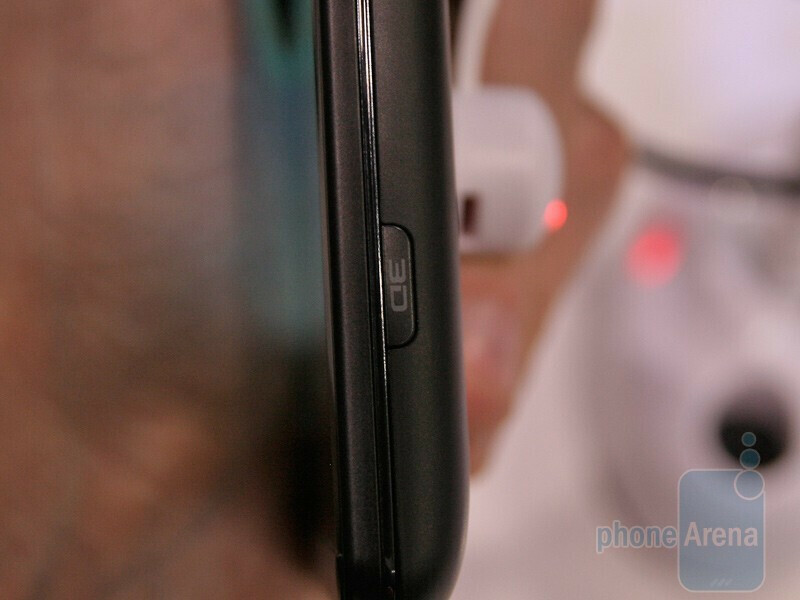 There are optimal viewing angles and distance, out of which the 3D effect fades out, but they mostly cover the way you usually interact with your phone, so no complaints. 3D interface is present with the click of LG’s 3D Hot Key, which fires up a carousel with five 3D-dedicated UIs, like Gallery, Camera, Games&Apps, YouTube 3D, and 3D Guide. 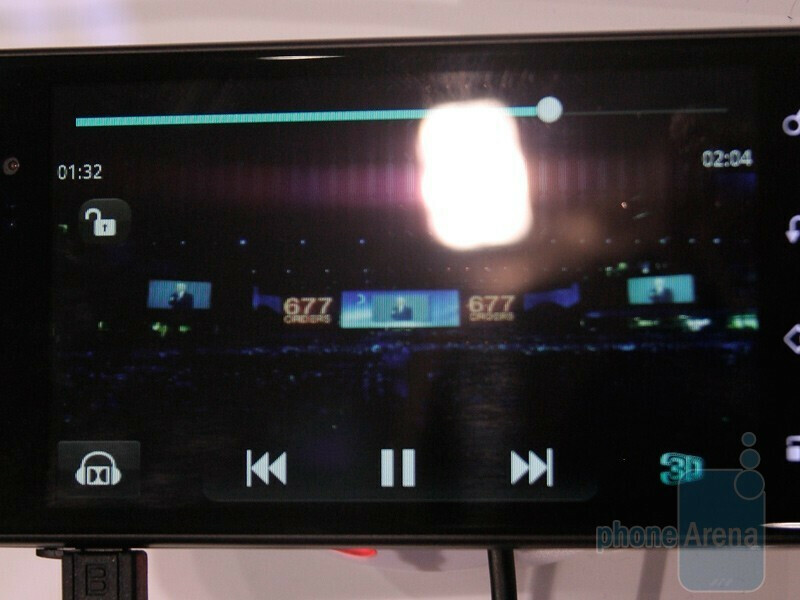 The YouTube 3D app is exclusive to the LG Optimus 3D - YouTube marks with a small 3D sign its three-dimensional videos, and when clicked, they play in landscape on the phone, with the parallax barrier enabled. Alternatively, the ones you shoot with the phone, can be uploaded to YouTube's 3D channel via the same app. 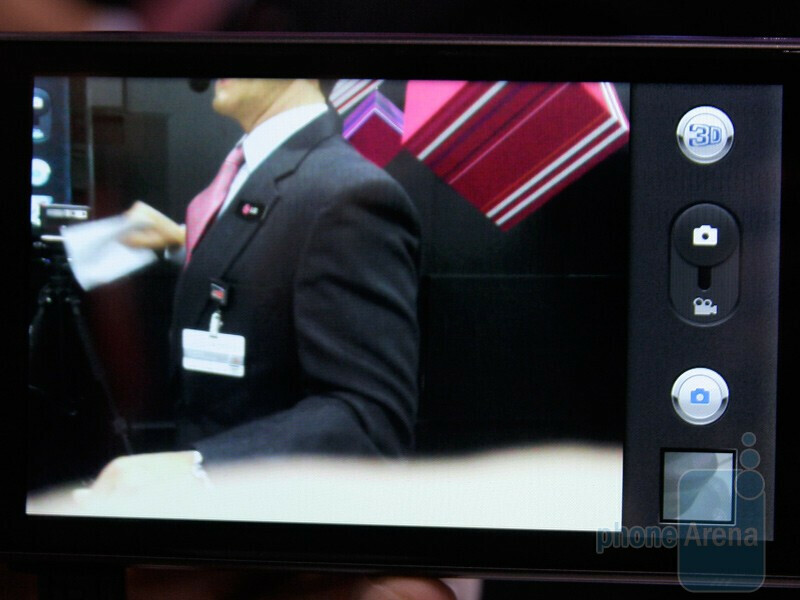 Turn off the 3D mode and this is your ordinary bulky high-spec'd smartphone. 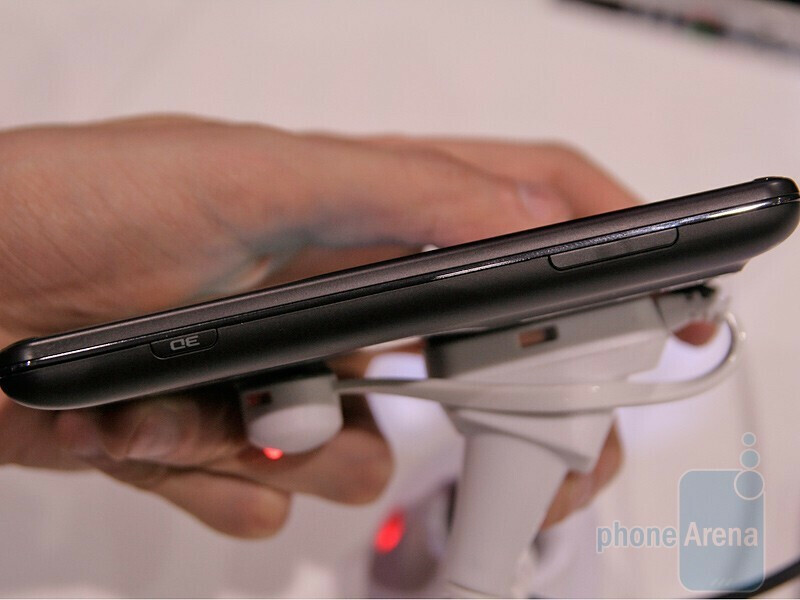 It is 12mm thick, runs Android 2.2 (no info of 2.3 update, but we hope so!) 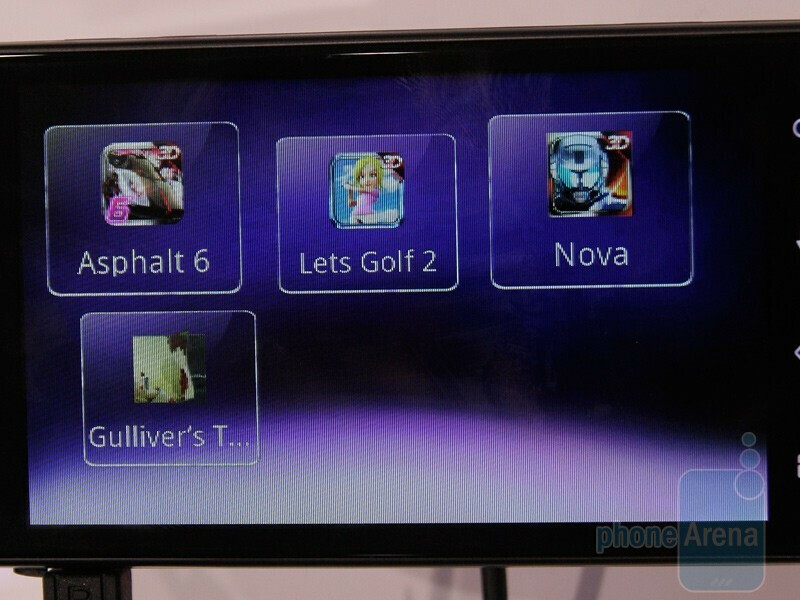 and has a funny LG personalization to the interface. Don’t get us wrong, it doesn’t ruin the experience, but TouchWiz is still better, leave alone HTC Sense. 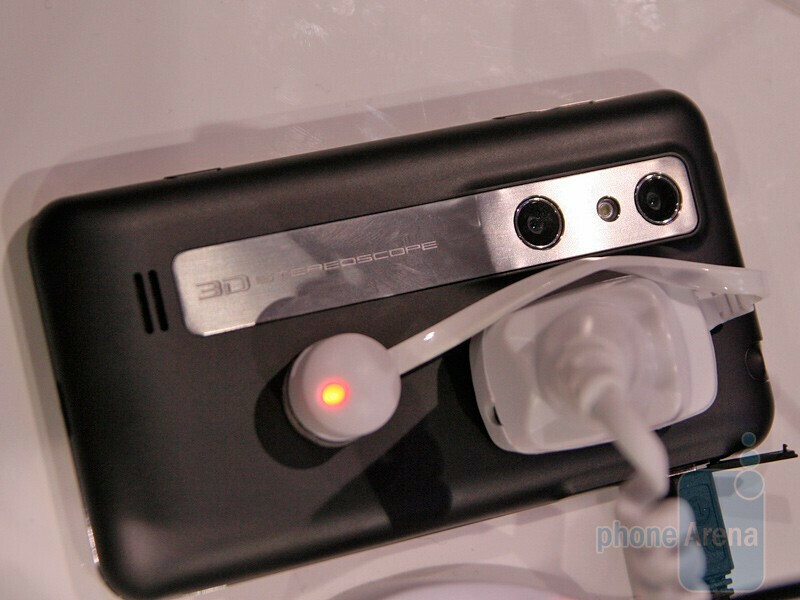 In a nutshell, this IS the first 3D smartphone. It is powerful. And bulky. We are not in love with it, but having one more “new” thing coming into the realm of phones makes us very happy. 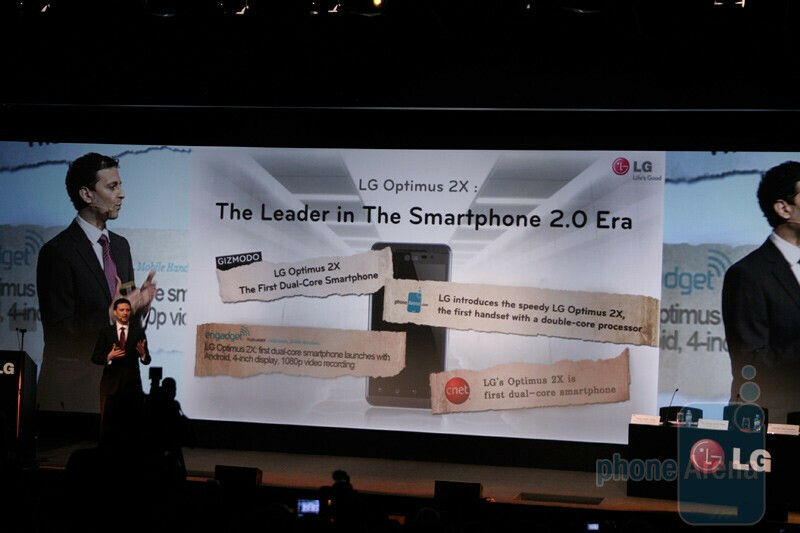 Good work, LG, we are looking forward to testing a final review unit! It has 4Gb of RAM not 4GB. for those who don't know the difference between Gb and GB it is: Gb = Gigabit, GB = Gigabyte. There are 8bits to a Byte. therefore 8Gb is actually 512MB of RAM. Therefore Galaxy S II with "only" 1GB has twice that of Optimus 3D. It's LG's way of marketing to make 512MB sound more than it is to fool people who don't know any better. If Samsung did the same they could claim 8Gb of RAM. 4gb of ram is interesting, if not impressive. However, will it actually be helpful when it comes to improving the android experience? I personally don't think so, not with the current OS and available applications. But, then again, higher specs isn't always about necessity, it's also about impressing the customer and convincing them to buy. They didn't give 4GB without a reason, I think that whole 3D experience is the reason. ya, even if u never use 3d, the specs are a total beast. 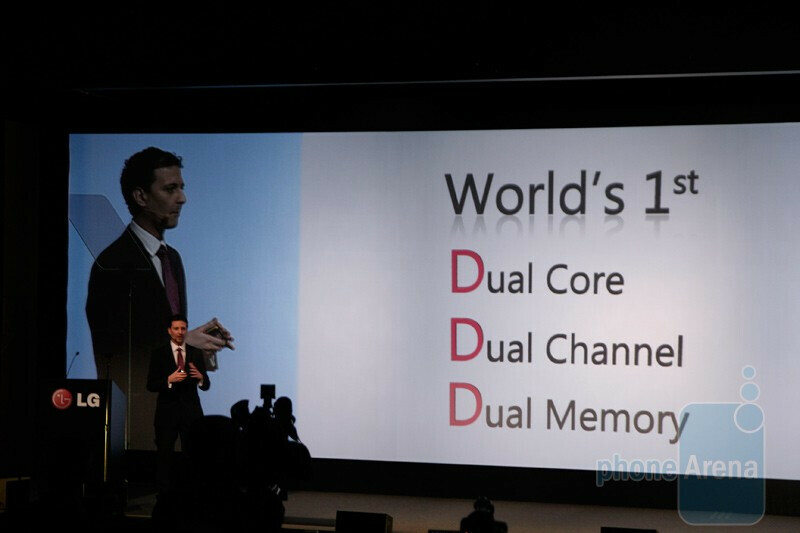 dual channel ram... ya, this phone will be a contender for a while as long as it has proper XDA support. Correction: I just realized that it is actually 4 Gb not 4 GB. That means it only has 512 MB of ram. 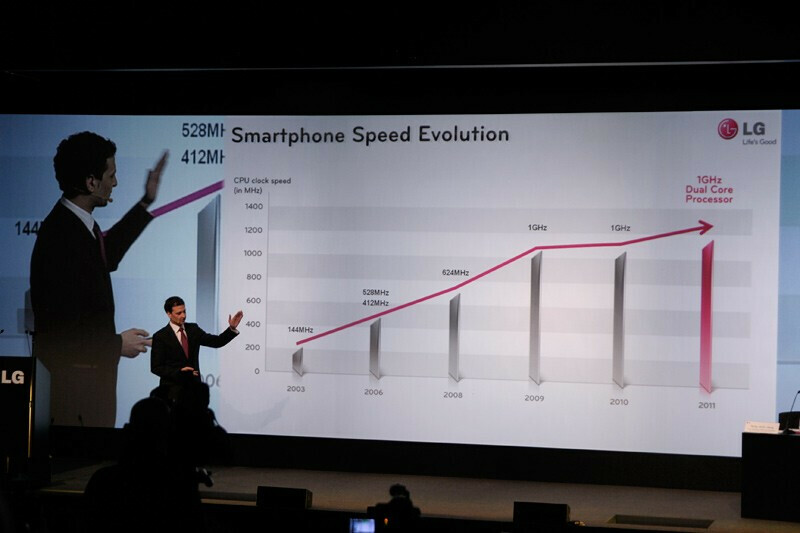 The phone actually has 4 giga*bits* of memory - 512 megabytes. dang it scored higher than galaxy s2 and optimus 2x and has amazing processors i need that but the ony problem is most samsung smartphones come with a app were u can download movies does this have that? 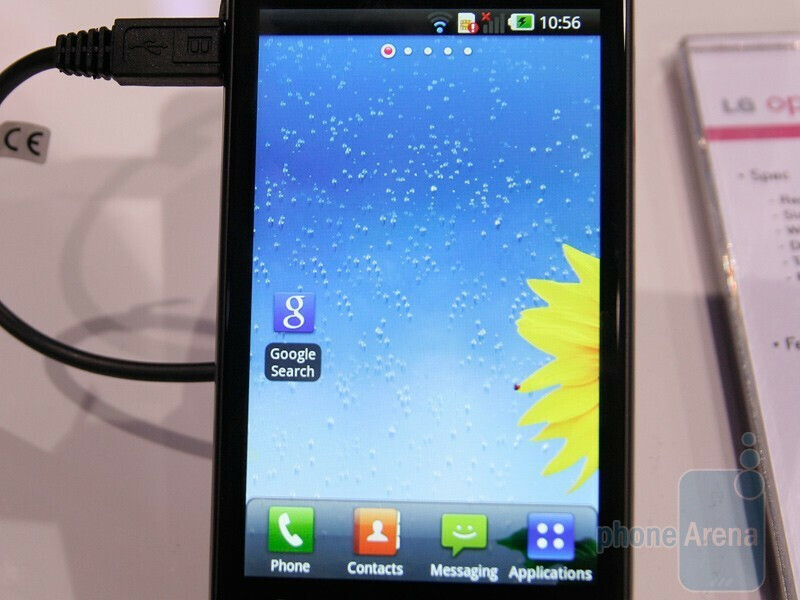 2011 the year of the real smartphone war!!! I think Apple is hiding something really big for the next generation iPhone/iPad after all this smart phones conventions! 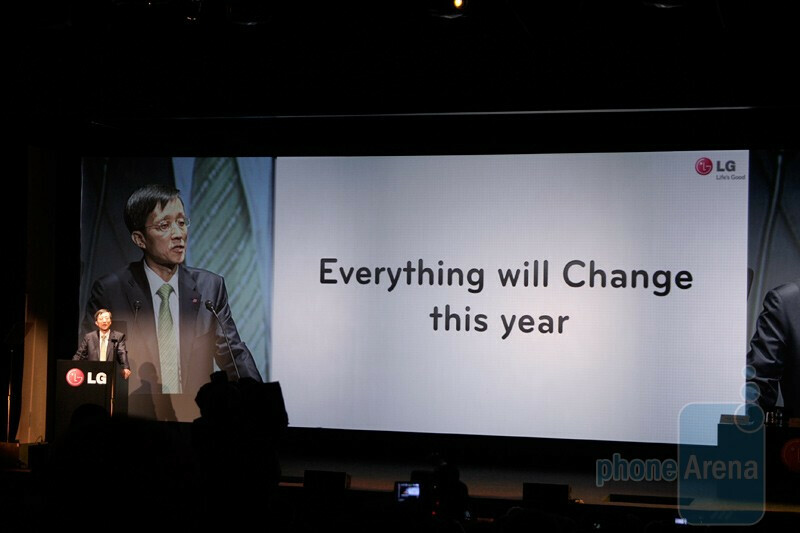 But this people (LG/Samsung/HTC/Sony/...) get a step forward...now! iphone 4 is still bettter than this phone or any other phone on the market. ahh att and apple, always will be the best. what a fail comment you just made iphone4 is not better then this or other phones.. please dont talk apply fan boy! He doesn't sound like a fanboy at all... you on the other hand, sound biased against Apple. He said "NEXT GENERATION". And he clearly wants the other companies to all come up with great phones. Because he understands competition is GOOD, and being simply pro-Apple or anti-Apple is stupid as a consumer. BATTERY LIFE BATTERY LIFE BAAAAAATERY.................LIFE!!!!!!!!!!!!!!!!!!!!!!!!!!!!!!!!!! whats that battery drain on this thing? 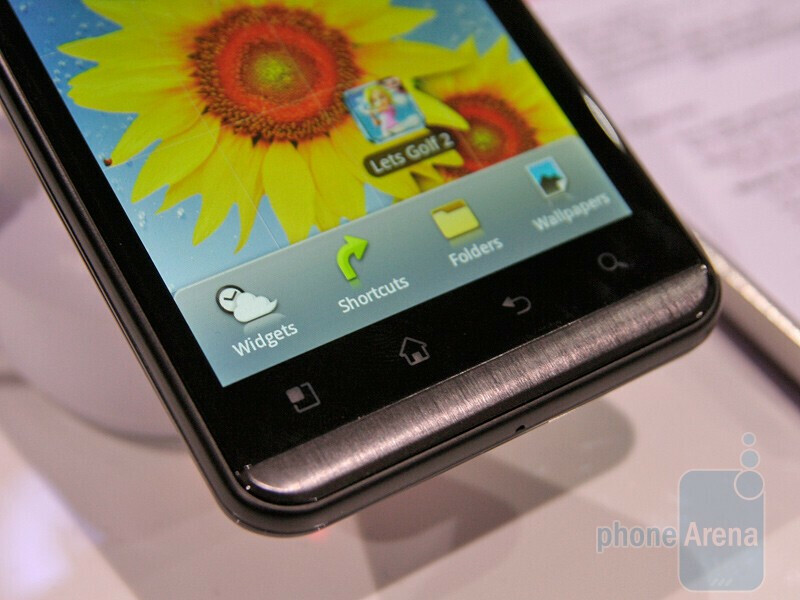 LG is not known for having good battery life for their phones, but they do make some coo phones! I am a to each his own kinda guy, but how much is 3D effect really worth here? Nice high end specs, but if the tech wasn't wasted on a gimmick phone, LG would have a top end contender as opposed to just a phone trying to get people to look at it. More power to ya if you want to spend this kinda money on this kinda phone or marry it for two years, but what if the performance is crap? So much info about this phone in this article but I can't find anything about availability of this phone... Does anyone know the release date for The Netherlands, or just the release date for Europe? I hope somone knows :-) Thank you very much! Greets. The dual phone! 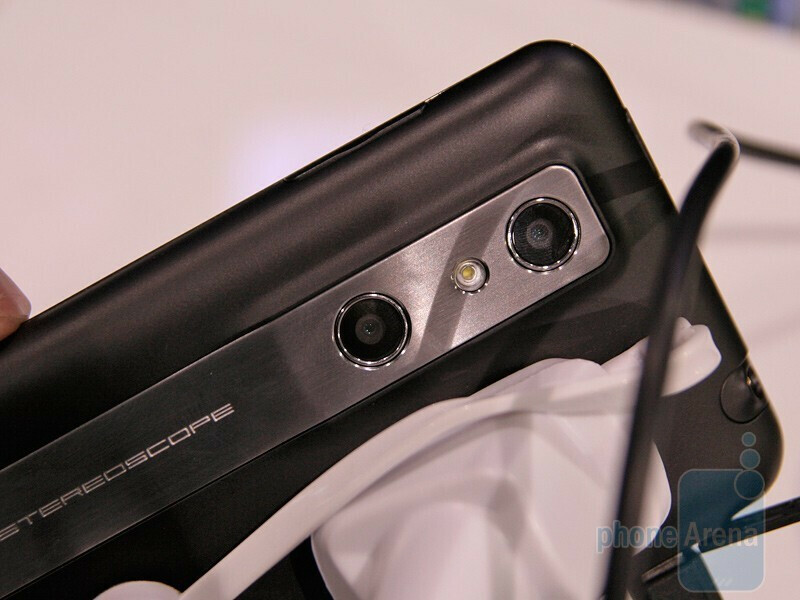 Dual core, dual ram, dual processor, dual camera it has the most porwfull chpiest IOMP4 I think this phone already kills galaxy s2, atrix with the 3D camera and IPS LCD screen and two camera with 1080p@24fps 720p@30fps it's only 5 m pixel camera. Somehow I don't think this whole 3D thing is going to catch on. Novel idea though, and a good way to separate yourself from the crowd. what carrier is it going to the USA?????? ?